Cloud Computing Competencies: What Should a Bachelor's Degree Program Teach Me? Very few technologies are as innovative as the cloud. There have never been computing and data storage resources before so widely available both to the private businesses and the general public. However, due to the complex technology used in this innovation, highly trained individuals are needed to ensure that there is continued service. Therefore, if you are thinking of pursuing a rewarding cyber security career, consider the implications of cloud computing. You may have heard about cloud technology but since it’s a relatively new thing; you may wonder why it is getting much attention. Below are some of the things you should know about cloud technology and how it has helped organizations reap huge benefits. There are different cloud computing services. However, depending on a company’s IT needs, cloud services can be used instead of purchasing new IT hardware. The two most popular versions of the cloud include SaaS (Software-as-a-Service and IaaS (Infrastructure-as-a-Service). With SaaS, cloud service providers can host the applications of an organization and the associated data on their own servers. The users can get access to SaaS business applications through a Web browser. With IaaS, the cloud provider provides physical servers, storage, virtual machines, connectivity and switching resources to enable business applications to run on pay-as-you-go. The cloud provider helps manage the cloud infrastructure that virtual machines and applications run on. A good number of IT staff in government organizations and businesses spend most of their time managing, troubleshooting, and maintaining equipment. However, cloud computing professionals offer management services that enable organizations to offload these tasks thus freeing up IT workers who can handle other tasks. This is important especially for businesses and organizations that want to accommodate new technology. For instance, businesses nowadays are virtualizing their important applications. This means that they need virtual machines that are associated with these applications to run on the powerful and hardy servers. However, cloud computing enables organizations to do this without necessarily purchasing new servers. Programming skills: Cloud computing has added a new dimension to the development world. Through formal cloud computing education, you will be able to build, deploy and also manage applications quickly. Through formal training, you will learn programming languages that have become prominent in the cloud ecosystem such as Python, Perl, Ruby, Java, PHP, and .NET. Database skills: According to a recent study, it was discovered that a total of 2.5 quintillion bytes are created on a single day. This information is important for the success of businesses and this has fueled the demand for cloud computing experts with the skills to store, manage, and access data. Because most of these databases are hosted on the cloud, this may be the perfect time to enroll in a cloud computing degree program that will train you on database query language. The standard language used in databases is SQL. Linux: There is a high demand for cloud computing experts with knowledge in Linux. According to Wired, more than 25 percent of all the servers that power Azure are Linux-based. This percentage will continue increasing especially now that Microsoft has embraced the open-source market. This means that more and more businesses will be looking for professionals with Linux skills to design, architect, build, maintain, and administer Linux servers in their cloud environment. Job security: The IT industry is very sensitive and it becomes volatile due to small changes in business and trends. Although cloud computing has been there for a while, businesses have now realized its benefits and this has led to its expansion. Therefore, cloud computing education should equip you with marketable skills in the cloud computing industry and might make your job more secure. Cloud is the future: The cloud has become a commodity for almost every type of business because it is fast, economical, and easy to grow businesses by maximizing profits. As more and more businesses switch to the cloud, cloud technology will become even more of a demanded technology. Are you interested in cloud computing? 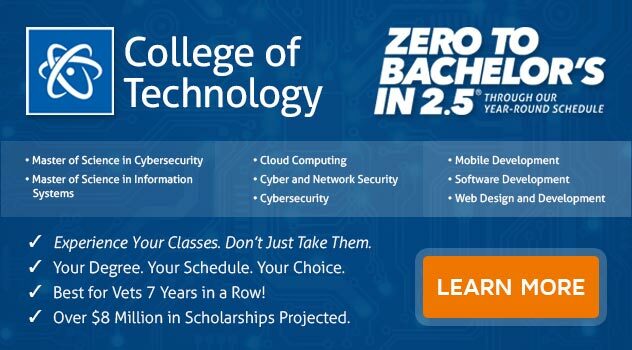 If you want to earn a Bachelor of Science Degree in Computer and Information Science with a Major in Cyber and Network Security - Cloud Computing Track, ECPI University offers this degree at an accelerated pace. For more information regarding this exciting program, connect with a friendly admissions advisor today.